IMG_3410, a photo by Kibbles on Flickr. Take a spot. wall it off/put a border around it, whatever works for you. Put a layer of cardboard down. Then a layer of newspaper. Then straw. 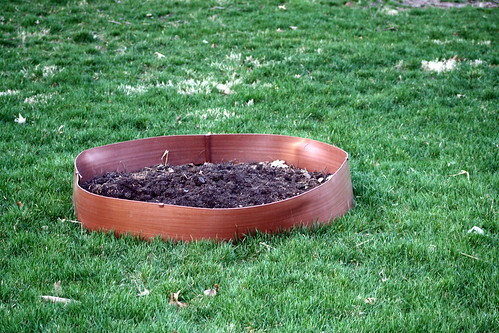 Then compost, topsoil, whatever you’re going to plant in. Don’t have to till the lawn up underneath it, by time you plant and the roots grow down hopefully you’ll have the papery stuff degrading, plus of course the stuff won’t grow up thru it (including weeds). Oh, and don’t forget to water after each layer! IMG_3394, a photo by Kibbles on Flickr. 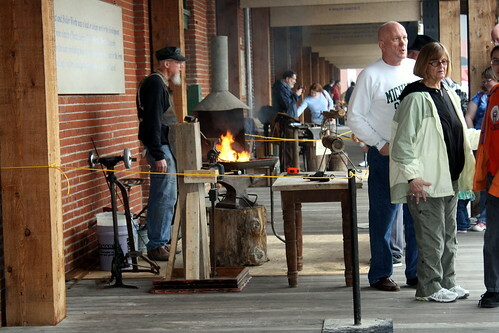 Had a blast at the Mississippi River Museum & Aquarium, at their annual Blacksmith Days. Lots of free activities and the weather was great! 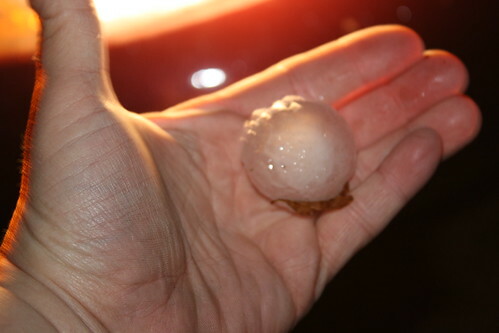 Hail, a photo by Kibbles on Flickr. It hailed, we lost power. Intense storm. More photos in gallery. Click! In front of the car headlight. We had no power.